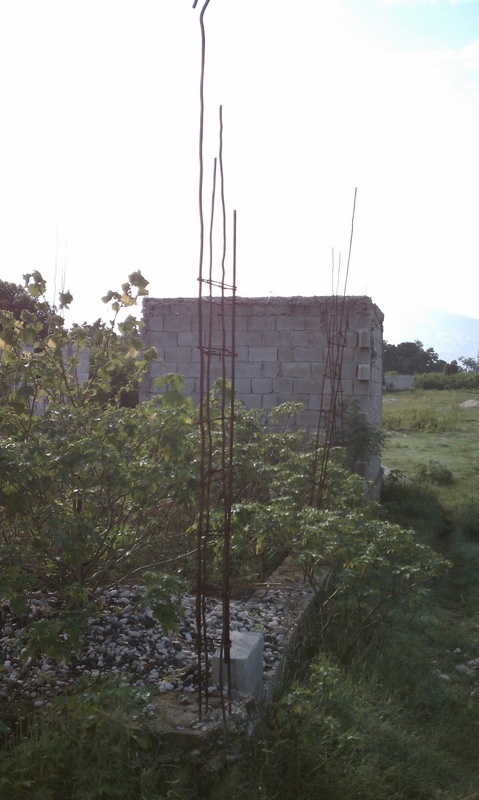 Upon arriving in Haiti, one of the first visual impressions you receive is the national symbol of progress: rebar (concrete reinforcing steel) extending from the top of every structure. Usually taking the form of four rods girdled by rings of wire (aka stirrups), these antennae indicate points (or future points) of strength in masonry walls. Sometimes the bars are clearly intended for the future construction, extending from the foundation of a planned wall or from the roof for a second story. Sometimes the extensions have intrinsic practical purpose, such as tying wooden rafters to the walls (as primitive hurricane straps) or serving as anchor points for razor wire. Sometimes, the bars seem to serve no practical purpose at all, seemingly an accepted form of decoration for all construction projects, finished or not. 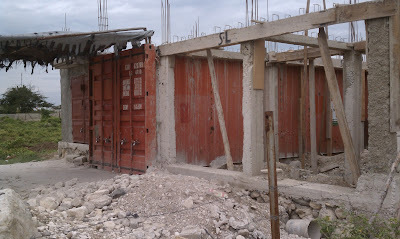 Unlike the US, there seems to be a universal acceptance in Haiti of the in-process construction site as normal. In the US, when construction pauses more than a few days, the project is assumed to be in an unnatural state of delay or under duress of some kind. 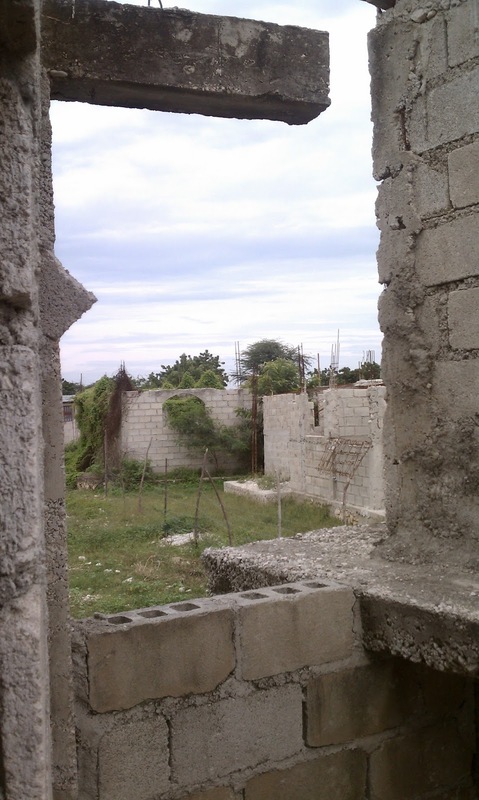 One explanation for the contrast is that when someone accumulates some cash in Haiti, however meager the amount, there is tremendous cultural pressure to share that wealth with friends and family until it is gone. Under this pressure, one of the few acceptable ways to actually accumulate wealth is to invest in your building project. 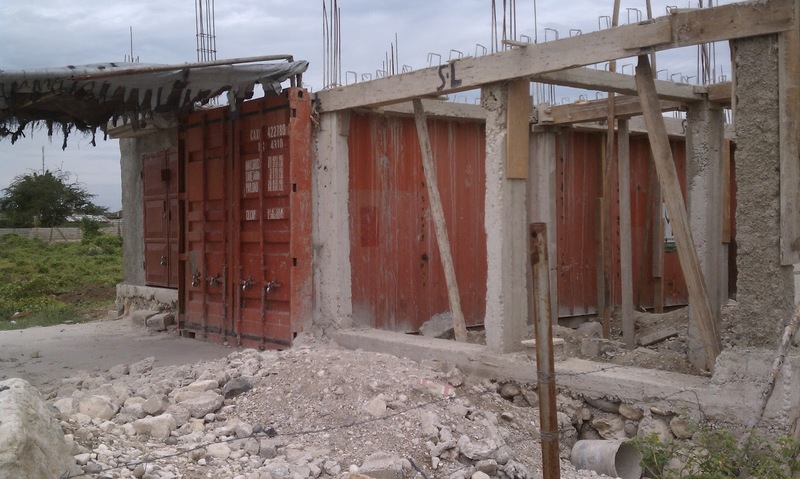 Thus, every in-progress construction site is a kind of investment bank and every pile of gravel a deposit. There is another motivation for the construction to remain in a state of suspended animation. Property taxes are assessed on completed structures, exterior painting being the final sign of completion. Outside of commercial areas, almost nothing is painted. As an urban environment, this perennially mid-construction state tends toward slow evolution. Familiar viewscapes are modified incrementally in small bursts over long periods of time, giving the viewer time to assimilate the process as memory, not just the usual "before" and "after." This experience feels a little like being inside a giant stop-action animation production of city building. Ambiguity and mystery and abundant in this landscape of process - are these walls a post-earthquake ruin or mid-construction wealth accumulation or both? Despite the obvious poverty and struggle for survival, strangely, this peculiar landscape also speaks of hope for the future and the resilience of Haiti's people. 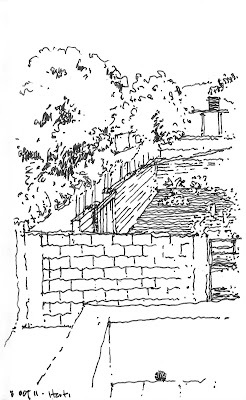 These enduring walls are always under construction, albeit at a leisurely pace. In the second week of October, a medical/construction team of 22 people (mostly from Richmond) traveled to an area west of Port-au-Prince in Haiti. Hosted by CSI, an organization that provides in-country infrastructure for visiting teams, the medical portion of the team ran a mobile clinic for 4 1/2 days, treating over 500 patients and dispensing over 2,000 prescriptions. 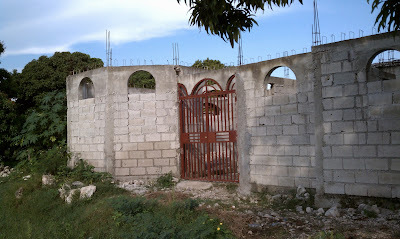 Meanwhile, the construction team constructed three roofs and painted a portion of an orphanage. A mere drop in the proverbial bucket.